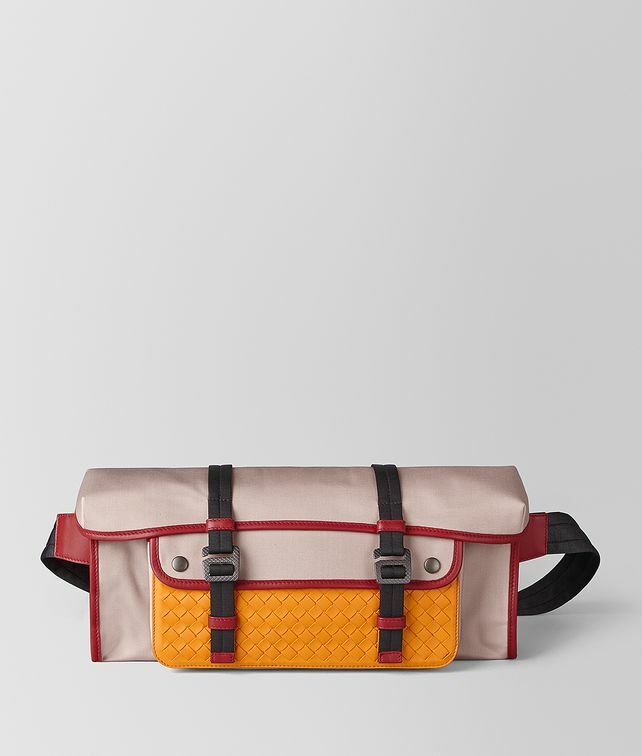 Introduced in our Cruise 2019 presentation, the Meridian Box Belt Bag is crafted from lightweight canvas and accented with smooth nappa and handwoven intrecciato in contrasting colours. The utilitarian style can also be worn as a cross-body bag by adjusting the nylon strap. The main compartment has a zip fastening as well as a top flap that is secured with nylon straps and engraved hook fastenings, while the front pocket closes with snap buttons. Fitted with an interior smartphone holder. Width: 37 cm | 14.5"